Last week we saw the rise of a new viral story when “social media star” Essena O’Neill took to her YouTube channel to explain why she decided to delete her Instagram in the hope to spread the news about “social media being fake.” Countless news sites ran the story and her Instagram followers shot up, becoming more famous than she was before. Fast forward a few days and we were served with the backlash of other commentators trying to prove their point. The bottom-line? As with other things out there, social media is merely a tool and it is up to the person to use it in a positive or negative manner. Also last week we learnt that Toyota is pumping a considerable amount of money into automotive AI, Windows 10 might be facing a tech support pushback and solar flares can be a real threat to major networks. 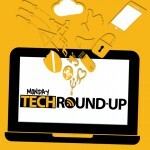 Read more in our Monday Tech Roundup. Self-driving cars are all the rage right now, and roads tests are working out pretty well. From the first results it seems like many of the accidents occur because the robotic cars drive within the rules, and human drivers crash into them because the automatic vehicles drive too slow – or actually stop for stop signs. As a long time driver of cars, from fork lifts, to garbage trucks to dump trucks and even a hot dog truck, I am skeptical of self-driving cars but with all the cameras they can probably zip around traffic more safely than I can. The idea of being driven around while I read or relax is increasingly compelling. Most of the heavy lifting with regards to research has been done by automotive outsiders such as Google and Apple but now Toyota is making a major play with a (USD) $1 billion investment in artificial intelligence and robotics research all to create smart and autonomous cars. Safety is still a top concern however; I feel that if someone does have a major breakthrough it would benefit all involved for this to be shared with other automakers. Self-driving might be the holy grail, but Toyota is also interested in less ambitious measures such as automated braking and crash avoidance. Is Windows 10 facing a tech support push back? Windows 10 has been on a tear what with free upgrades and inexpensive new systems. Fact is, I haven’t heard much of a backlash like the kind that killed Vista. That’s why I was surprised to read a report from Network World that tech support folks reps from both Dell and HP are telling some users to deinstall Windows 10 and go back to an earlier version like 8.1, and in other cases to forestall upgrading to 10. Does that mean Windows 10 is in trouble? Maybe not! 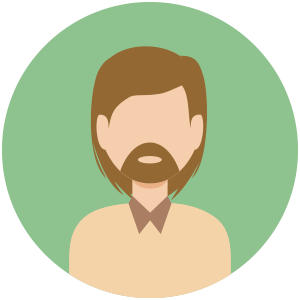 Tech support people want to solve your problem as fast and easily as possible. Instead of troubleshooting a little Windows 10 glitch, why not slough it off by having the user reinstall their old OS? Unfortunately, not enough research has been done to see how problematic these minor glitches in Windows 10 might be, and since tech support is manning the front lines their views are increasingly important. While on the subject of Windows 10, it looks like the next big OS update is just around the corner and we have a little preview of what it might contain here. In the United States, fears of events in space, with the sun in particular, are being seen as serious threats to major networks. With that in mind, the National Science and Technology Council prepared its National Space Weather Action Plan aimed at preparing for stellar events that could disrupt key communications and network systems. The idea is to prepare companies and organizations by helping them develop a plan to mitigate problems if, say, a huge solar flare or other event disrupts operations. To me, this sounds like there will be the need to have serious backup systems in place, and protocols for recovering from space-made disasters. These kind of plans are not too far fetched, especially considering that solar flares have already disrupted some communications systems and have even made airlines cancel flights.